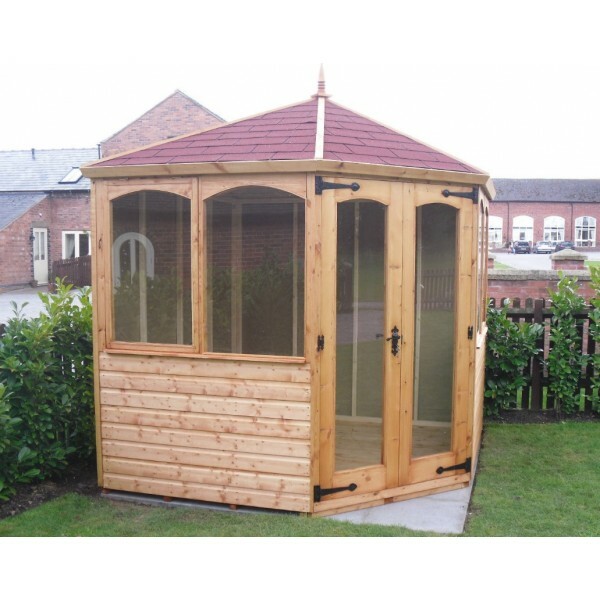 For summerhouses in the West Midlands, look no further than G.E. Collis & Sons. 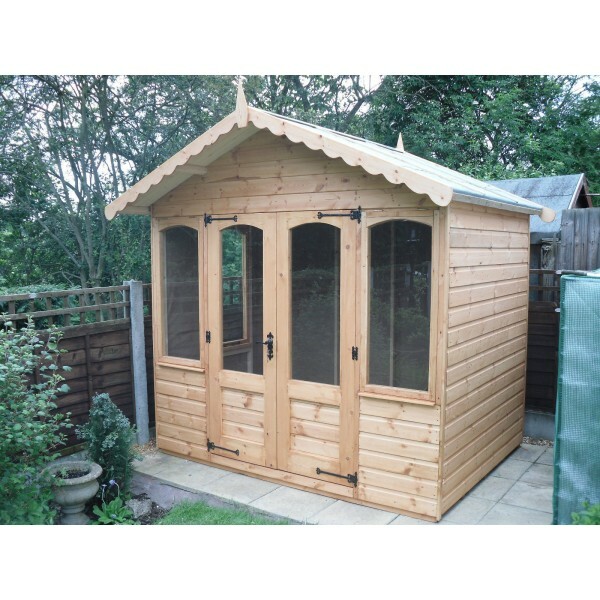 We have a range of stunning summerhouses available which are perfect for making the most of the best of the British weather in your own personal space.Please note images used are for visual reasons only and may not represent real size. 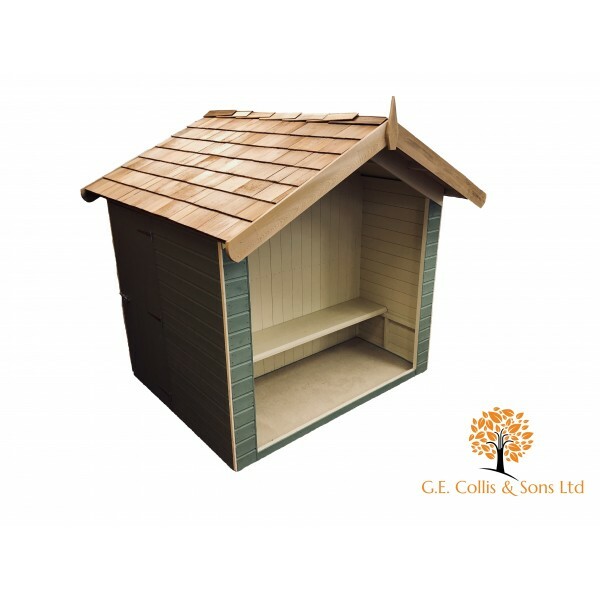 Chartwell Garden SeatSpecification:Cladding - Ex 125mm x 16mm Shiplap Framework - Ex 50mm x 38mm Planed TimberLining - Sissalcraft 822 Damp Proof MembraneRoof - 12mm WBP | 18Kg Grey Roofing Felt | Cedar Shingle RoofTreatment - This building has .. 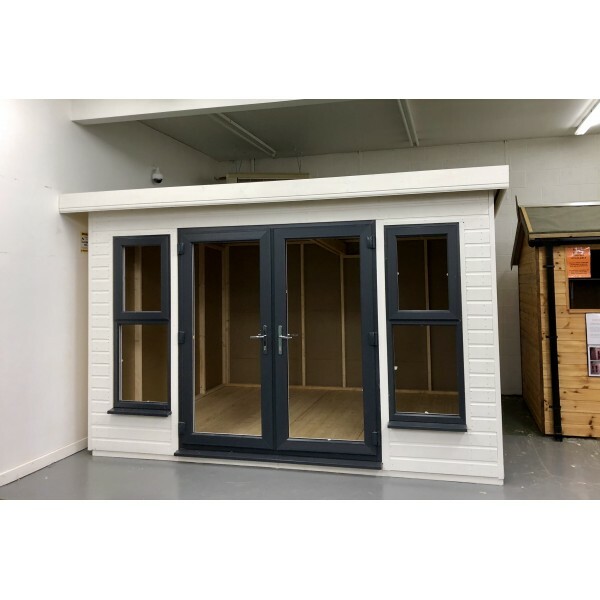 The BryantOur versatile combination building offers the best of both worlds when it comes to storage/living space.Specification:Cladding - Ex 125mm x 16mm Shiplap Framework - Ex 50mm x 50mm Planed TimberGlazing - 4mm ToughenedLining - Sissalcraf.. The ChatsworthSpecification:Cladding - Ex 125mm x 22mm Tanalised LoglapFramework - Ex 100mm x 50mm Tanalised CLSGlazing - 6.4mm Laminated ClearLining - Sissalcraft 822 Damp Proof MembraneRoof - 12mm T & G Cladding | 20Kg Green Mineral Polyester F.. 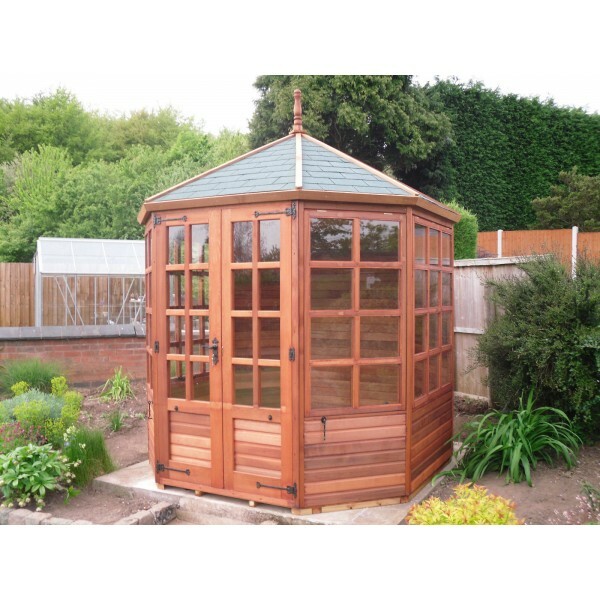 The Corner StudioSpecification:Cladding - Ex 125mm x 16mm Shiplap Framework - Ex 50mm x 50mm Planed TimberGlazing - 4mm Float Lining - Sissalcraft 822 Damp Proof MembraneRoof - 12mm T & G Cladding | 20Kg Green Mineral FeltTreatment - La.. 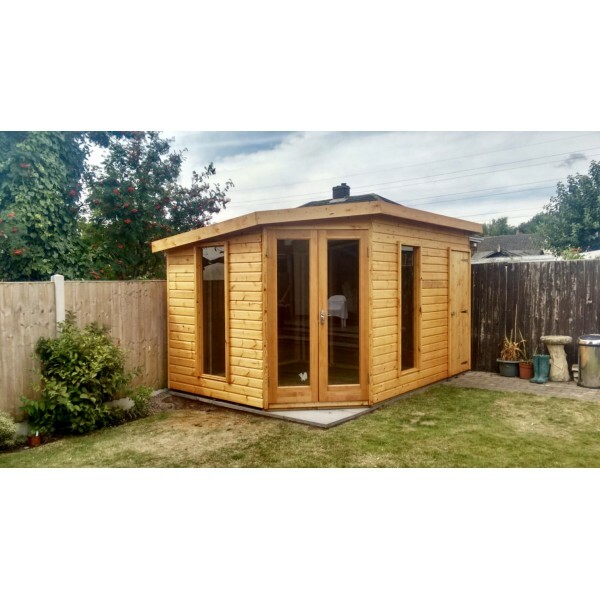 The Garden RoomAn ever popular summerhouse with a fantastic design & modern looks.Specification:Cladding - Ex 125mm x 16mm Shiplap Framework - Ex 50mm x 50mm Planed TimberGlazing - 4mm GlassLining - Sissalcraft 822 Damp Proof MembraneRoof - .. The LydiardSpecification:Cladding - Ex 125mm x 16mm Shiplap Framework - Ex 50mm x 50mm Planed TimberGlazing - 4mm GlazingLining - Sissalcraft 822 Damp Proof MembraneRoof - 12mm WBP | 18Kg Grey Roofing Felt | Red OR Green Felt-Tiled RoofTreatment.. The MilfordSpecification:Cladding - Ex 125mm x 16mm Shiplap Framework - Ex 50mm x 50mm Planed TimberGlazing - 4mm Float Lining - Sissalcraft 822 Damp Proof MembraneRoof - 12mm T & G Cladding | 20Kg Green Mineral FeltTreatment - Langlow .. The MillsSpecification:Cladding - Ex 100mm x 16mm Cedar T & G ShiplapFramework - Ex 50mm x 50mm Cedar PARGlazing - 4mm Float Lining - Sissalcraft 822 Damp Proof MembraneRoof - 12mm WBP - Red OR Green Felt TilesTreatment - Langlow Spirit Base.. The Moderno Specification: Cladding - Ex 125mm x 16mm Shiplap Framework - Ex 50mm x 50mm Planed Timber Glazing - 4mm Float Lining - Sissalcraft 822 Damp Proof Membrane Roof - 12mm T & G Cladding | Rubber Roof Doors - PAT20 in H.. The Moderno PlusSpecification:Cladding - Ex 125mm x 16mm Shiplap Framework - Ex 75mm x 50mm CLSDoors - French uPVC Doors, range of colours available, fitted with toughened double-glazed units.Windows - (2) Opening Windows, uPVC, fitted with toug.. The Moderno XLSpecification:Cladding - Ex 125mm x 16mm Shiplap Framework - Ex 50mm x 50mm Planed TimberGlazing - 4mm Float Lining - Sissalcraft 822 Damp Proof MembraneRoof - 12mm T & G Cladding | Rubber RoofDoors - PAT20 in HemlockTreat.. The NewsteadSpecification:Cladding - Ex 125mm x 16mm Tanalised ShiplapFramework - Ex 50mm x 50mm Tanalised TimberGlazing - 4mm GlazingLining - Sissalcraft 822 Damp Proof MembraneRoof - 12mm WBP | 18Kg Grey Roofing Felt | Red, Green OR Charcoal Felt-T..